Definition: A point and shoot camera work as it’s described. You point then you shoot. You press the shutter and the camera automatically adjusts light sensitivity, focus, aperture, and shutter speed. Doing so results in a clear image with the best possible color. You’ll get good contrast, color, and color separation without blurs every time. Typical Users: Not all people are pro or even amateur photographers. Next, to the phone camera, the point and shoot camera serves as the casual user’s go-to camera. Even photographers might avail of this camera type. They can fiddle with settings to get more control out of such a camera. Pros and Cons: The typical point and shoot camera lack the manual control, interchangeable lenses, and larger image sensors of Digital SLRs. However, you can slip one into your pocket and use it to take pictures on short notice. These beginner-friendly cameras are also typically more affordable than their DSLR counterparts. With that said, what is the best point and shoot camera available? This point and shoot camera review aim to find out and reveal the truth about these particular cameras. Which of these products are the best point and shoot camera for you? Keep reading to find out. Is the Fujifilm X100F the best point and shoot camera available? A debatable position for sure. However, this camera definitely belongs in the conversation of being one of the best around. 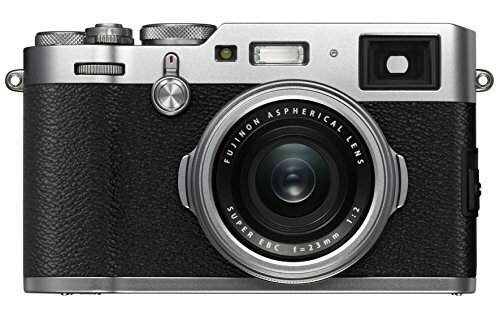 The Fujifilm X100F 24.3 MP APS-C Digital Camera showcases a design reminiscent of a vintage camera. However, it still maintains sleekness and modernity through its performance. It’s a point-and-click that looks like a manual camera. It weighs as much as a hardcover book. This point and shoot camera also keep your pictures from being distorted by having 35mm focal length without being too limiting on landscapes. Its JPEG picture results look great and don’t suffer too much with compression and pixelization. However, it lacks a thumb rest and your left hand can accidentally trigger the eye sensor. 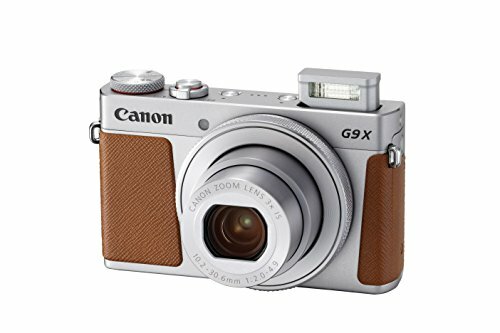 The tan and silver color scheme of the beautiful Canon PowerShot G9 X Mark II demands attention, in my opinion. Its main claim to fame for the best point and shoot camera manifests itself in the form of its ease of use. It reminds people of a cellphone for good reason. It features built-in Wi-Fi and BlueTooth, for one thing. It’s made with an LCD screen on the other hand. It epitomizes how advanced the point and shoot camera has become over years and years of evolution. Anyone can use this camera. Anyone can point and click at anything and get a good shot a la cellphone cameras (but better). You can manually edit the control settings for better results but even the default results are “idiot proof”. Thank its autofocus, image stabilization, and Digic VII image processor features (among other things) for its instantly good pics. 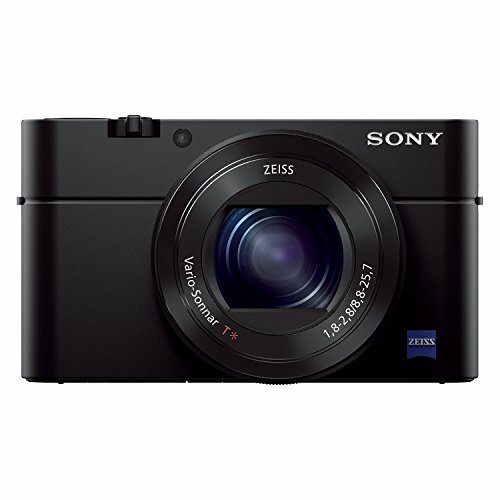 The Sony Cyber-shot DSC-RX100 wins you over slowly but surely. The point and shoot camera might appear too small, but it’s more than meets the eye. The complexity of the menu? Worth learning. The smallness of the on-board camera buttons can frustrate customers. However, the pudding provides all the proof you need. With this camera, customers can carelessly click away and end up with magazine-level photographs. The camera’s autofocus, lens, and digital processing make for sharp pics with good natural color tones. It captures the essence of life in a snapshot, in my opinion. You can customize the menu to your personal taste. Hidden behind the non-intuitive menu lay a means to shoot really good and breathtaking images. It’s a Sony so of course, it can’t be all bad. It still needs work in the user-friendliness side. 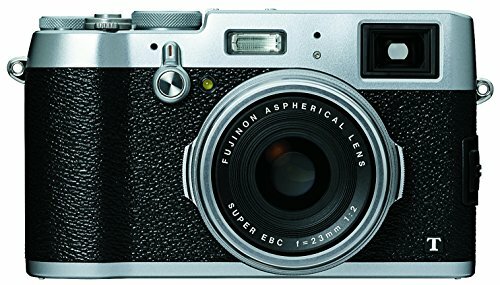 The Fujifilm X100T 16 MP point and shoot camera (Silver) manages to be one of those rare points and shoot camera units that satisfy both amateur wannabe and professional photographers alike. A traditional camera works as good as the photographer who owns it. It’s like a pencil. The better the wielder the better the results. A point-and-shoot camera, on the other hand, emphasizes instant gratification more. Fujifilm X100T finds a way to become the best of both worlds. The ability to satisfy both demographics roots from the camera’s quality default settings. From there, photographers can easily tweak settings or use pro lenses on it to make it more like a DSLR. Meanwhile, it comes with more automated features that eliminate human error, like a smart autofocus or good automatic contrast. It does have its share of cons though, like a Fuji lens that’s fixed. 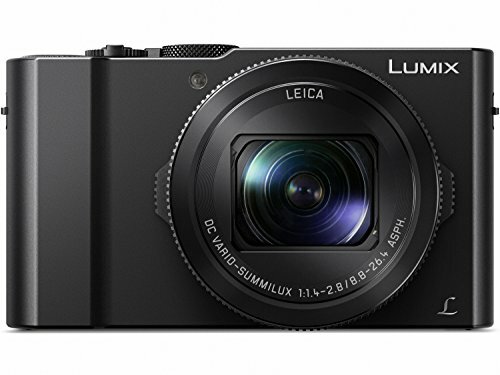 The Panasonic LUMIX DMC-LX10K Camera offers an all-black rectangular body I personally prefer. The prism-colored lens emblazoned across a minimalist design instills me with feelings of personal approval. However, its appeal doesn’t run skin deep. 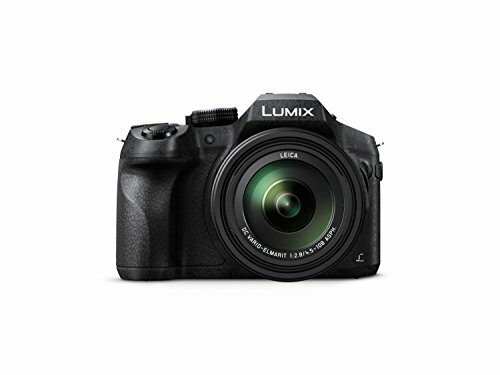 The Panasonic LUMIX DMC-LX10K Camera also contains a 1-inch sensor that makes full use of its 20.1 megapixels. The F/1.4-2.8 LEICA DC Lens with 3X zoom and 24-72mm focal length allows for happy accidents while shooting. Any amateur with a trigger finger can shoot the camera and come up with something decent. Most photographers prefer more control over their cameras. But even the pros can make good use of the articulating screen for their profession. You can carry it anywhere and shoot on the go too. It captures moments in the best ways possible automatically. What’s not to love about the point and shoot camera? Nature photographers normally buy a DSLR but this point and shoot camera can satisfy their needs. It can shoot in the rain! Its waterproof body allows for kayak photographs or even snorkeling ones! All without buying waterproof housing. The photo quality of the camera when shooting underwater ensures clarity. It’s like the lens have scuba or swimming goggles on them. Everything became clear. You also can’t find the propriety microscope mode of this camera on other point-and-shoots. Zooming into mundane objects like shorts can offer some breathtaking new perspectives. However, it has its share of drawbacks. The nonstandard USB cable can’t fit with the current USB standards. Not all shooting modes contain the raw capture. The fleeting battery life makes me feel shortchanged as well. The Olympus TG-4 16 MP has a neat gimmick but it needs improvement everywhere else. 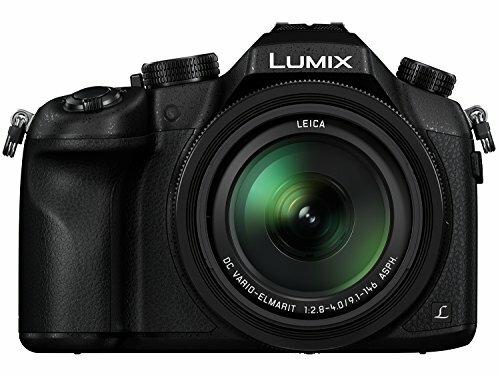 The PANASONIC LUMIX FZ1000 4K separates itself from the rest of the point and shoot camera industry through unique specs. I can’t get enough of this device. The reason for my love roots from its title on Amazon. It features a 1-inch high sensitivity sensor, 21.1 megapixels, F2.8-4.0 lens, and so forth. The prime indicator of its quality? The way it turns amateur photographers into experts. The camera compensates for anything lacking with the photographer. Even if you always shoot in auto and don’t bother with cropping, it still produces quality shots. It also zooms better, has a better sensor, and sharper images. Avoid making your pictures crooked as well by using the camera’s electronic level/digital horizon guide. The options and controls give photographers more leeway creatively too. Hobbyist photographers belong in the limbo of pros and casuals. They know what an excellent shot looks like and why but they lack the skills to replicate it. No amateur believes he’s above using a point and shoot camera for this reason. Even DSLR experts know that the most excellent of point-and-shoots provide that assistance they need for certain shots. It’s not really “cheating” if in the end you get a good shot. 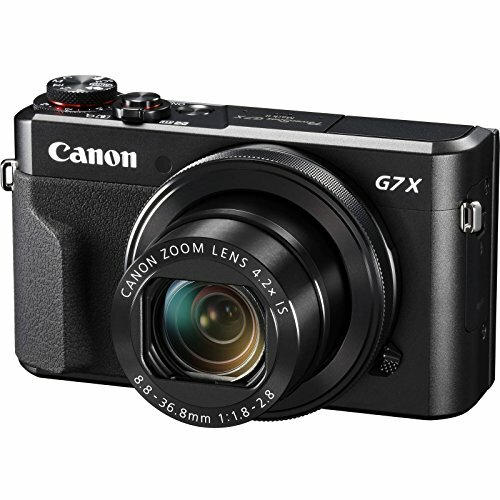 Canon PowerShot G7 X Mark II’s point and shoot camera bread-and-butter of automating shot excellence puts it over the top in this camera category. The PowerShot manifests its portability by its size and ability to fit in your jeans pocket like a smartphone. Also like a cellphone, it throws around features left and right like candy. Autofocus. Manual shooting. A sharp f1.8 aperture. Low light shooting without pixelization. It has it all for you if you know what to look for. 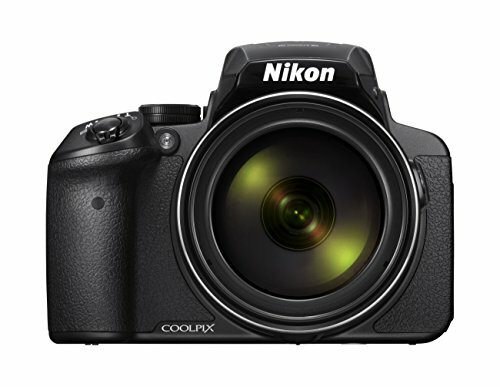 At its core, the Nikon COOLPIX P900 Digital Camera live up to its name. It’s a point and shoot camera that takes cool pics. How it does this separates it from all other cameras on this review list. Nikon crafted the COOLPIX to be as slim as a phone so that it can be taken and used anywhere. It won’t break your neck while lugging it around. The device also has crazy specs that give ordinary users a run for their money in potential shots. You’ll also need post-processing less if the photos come out perfect like in COOLPIX. It encourages experimentation by specs like the 83x optical zoom that transforms it into a 2,000mm lens. When you go into no zoom, it becomes a regular 24mm. Additionally, it removes common photographer complaints of cookie-cutter sameness with its flexible controls. 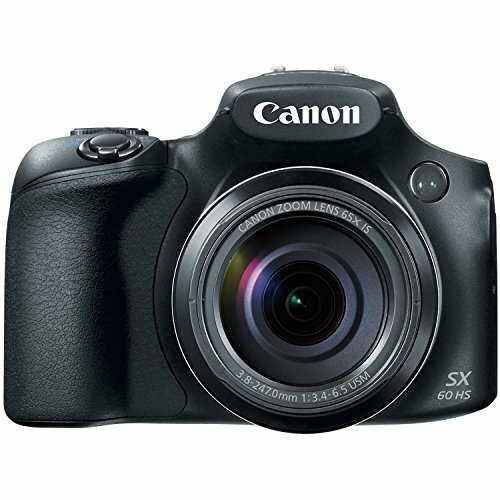 The Canon Powershot SX60 achieves potential greatness but falls short in several aspects (particularly noise control). The point and shoot camera automate shooting as expected of cameras of its type. It’s another camera you can joyfully play with like clay. Its different modes and effects, apertures and focal lengths, and so forth entice the creative to tinker with it. Meanwhile, its classic 1980s bulky camera look elicits both nostalgia and user-friendliness. You can work on it indoors without flash too to test out its low-light photos. It takes time to get the right low ISO picture without noisiness or pixelation. But for some, the trial-and-error experimentation is half the fun. If you’re an advanced user, you can do post-processing and use the CHDK add-on. Amateurs can get more out of the camera without their mistakes getting in the way of a good shot. 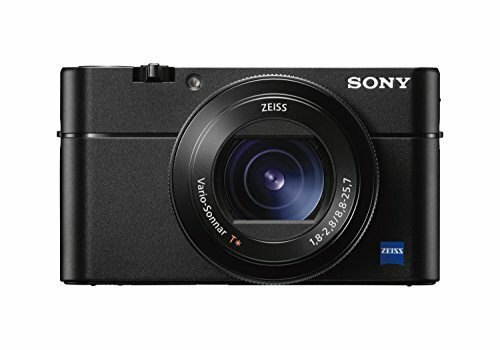 What makes the Sony DSC-RX100M III better than other point and shoot camera models? Or even fellow Sony cameras? It all boils down to its performance and features. For example, it has a 180° LCD for selfies and group shots you can shoot like with a mirror. You also get the latest Bionz X processor featuring the latest megapixel and focal length specs possible. Its image stabilization got even more advanced with the pop-up EVF. If you’re utterly lost by all the buzz words, just point and shoot the camera. You’ll still get the results you want (a good picture). Even its mediocre specs remain decent, like its walk-around 24mm – 70mm lens. It’s a zoom range that many a photographer uses so there’s little to no adjustment involved. You can even shoot ½ to ¾ body shots all the way to full body shots at this distance. Recommended to advanced amateur users, the Sony DSCHX90V/B has functions for days begging to be used. In fact, an amateur photographer can grow to become a pro by learning the ropes with this point and shoot camera. 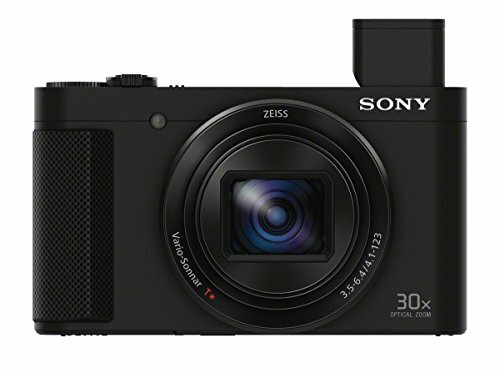 The Sony DSCHX90V/B Digital Camera possesses a 3-inch LCD that gives it a smooth and simple no-questions-asked interface. Look at the display then shoot if everything is framed just right. The loads of rings and dials aren’t recommended for people with huge hands or fat fingers. Nevertheless, you can control settings by LCD too. The viewfinder manually pops up though, which casual users might view as a detriment. You can do selfies with this camera due to the 180° turn of the LCD that serves as your front cam. For a camera with a small sensor, its low light photos have less noise than you’d expect. Finally, the 30x zoom, 5-axis stabilization, and the like removes the chances for bad pics. Last but not least is the Panasonic LUMIX DMC-FZ300K. It features a lower megapixel number of 12.1 but as mentioned below, that’s not as important as its 1/2.3-inch sensor. It’s not only splash-proof; it’s also dustproof (but not waterproof). It has 24x F2.8 zoom as well; reminiscent of a sniper scope almost. The days of multiple flashes and lenses have passed. Photography enthusiasts and hobbyists can set themselves free by using a more automated but adjustable point and shoot camera. It perfectly showcases why people still buy cameras when their phone already have cameras. The quality of specialist devices cannot really be beat. This is especially true of those who wish for more creative freedom or magazine-quality photos from every shot. Ironically, if only it had fewer frills, the Panasonic LUMIX can be the best camera of the bunch. It has too many useless to middling features it doesn’t need to sell better. Selecting the best point and shoot camera isn’t an easy feat for sure. In light of the dozens to hundreds of point and shoot camera available, selecting the best one for you involves knowing what you want and knowing what’s available for your budget. 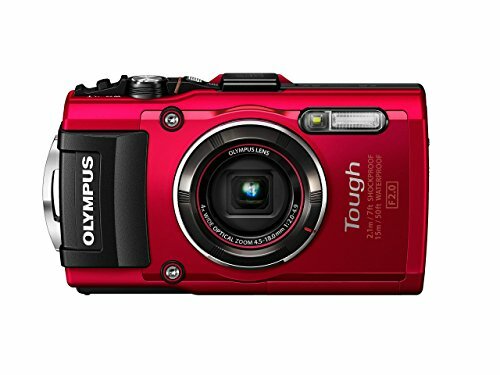 Follow the following guidelines ( How To Choose Best Point and Shoot Digital Camera? ) to find the right digital camera. The point and shoot camera review you’re reading right now recommend loads of research before settling on any one camera. Whether it’s from Fuji Film, Canon, Sony, Panasonic, Olympus, Nikon, and so forth, you need specific info to make an informed buying decision when buying the right best point and shoot camera. Certain brands contain better settings. Others excel in certain aspects of photography, from better contrast to superior clarity. Still others take pictures that give your photographs certain looks or filters. Whether you want an enhanced or accurate result, it’s all up to you. Many casual users of cameras or photography wannabes commonly ask about how many megapixels a camera has. However, megapixels compose of only part of what makes a point and shoot camera work. Having more megapixels doesn’t mean you have a better picture. It just means you can go for higher picture resolutions instead of lower resolution ones with fewer details. A decade ago, such a discussion stirs the minds of many a photographer or wannabe photographer. However, that time when cameras were making the jump from 2-3 megapixels to 4-5 megapixels has passed. Everyone talks about 10-megapixel cameras at this point, with some climbing as high as 16 megapixels. Putting loads of pixels on the smaller image sensors pf compact cameras hurts your low lighting shoot results. Size does matter but in terms of sensor size rather than pixel amount. Manufacturers of the point and shoot camera make smaller sensors than on manual DSLRs. More pixels actually hurt rather than help their case. These smaller sensors possess rougher color gradations. You’ll climb an uphill battle when creating a shallow depth of field with this type of camera too. However, in turn, you can put lenses with longer zooms with compact cameras. A 20x lens compact camera can actually fit in your shirt pocket. A camera’s zoom range serves as a common highlight in advertisements. However, whether it’s 3x to 20x, that figure doesn’t tell the whole story. The focal point of a point and shoot camera provides you the full story on the field of view your camera can cover. Don’t hyper-focus on zooms. Instead, when you have 2 cameras with 5x lenses, the one with the better focal length wins out. A 24-120mm focal length on a compact camera can cover tight spaces. A 28-140m has a longer telephoto reach for the clearest long-distance shots. 28mm is your best bet. If you’re buying a compact camera, then you care more about ease of use than controlling features. Otherwise, you’d research more about traditional DSLRs. Make your shots easier by making convenience the whole point of buying a point and shoot camera. Be happy about the lack of zoom lenses and other advanced features! Your bag gets lighter the more you go with compact cameras instead of non-compact DSLRs. This camera copies the modus operandi of camera phones without sacrificing image quality too much. While miniaturization remains of utmost importance, don’t go overboard. Cellphones learned their lesson and made their screens bigger plus stopped making their models smaller to boot. The point and shoot camera industry should follow their lead. To wit, don’t buy compact cameras with controls too small to manipulate, especially for those with huge hands. Smallness should be a means to make things easier for you. If something is so small it inconveniences you, then it went too far. When it all boils down to it, instant gratification remains a top priority among compact camera users. The smaller and more automated a camera, the more you sacrifice control over picture quality. Even decent cookie-cutter pictures can make these customers happy. However, many people with their own point and shoot camera don’t mind relinquishing this control. Real expert photographers will find this camera type as frustrating as a coloring book. Regular or casual users can achieve satisfaction as long as the auto results are okay to great.